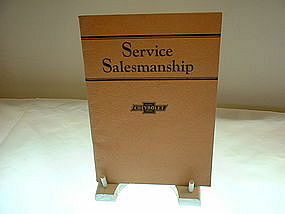 This Service Salesmanship Chevrolet booklet is in excellent condition considering it is dated Copyright 1928. The booklet is 41 pages. It is sold AS IS AND USED. Any questions please call or email. Please email or call zip code to determine postage, shipping, insurance rates.